Threelac UK, Free Postage, Same Day Dispatch ! We Also have Fivelac . Please read this FAQ first as it will give you some useful background on Threelac which is also relevant to Fivelac. So why is Threelac different from other candida supplements? The ‘3lac’ probiotic mixtures effectiveness was ‘discovered’ by a Japanese pharmaceutical company whilst carrying out trials on the effect of certain probiotic bacteria on hyperlipidemia (high cholesterol). 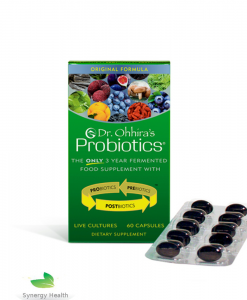 The effect of probiotics on cholestorol levels in well documented and simple search for ‘probiotic+cholestorol’ should yield many results. The japanese trials showed that three types of lactic acid producing bacteria outperformed others tested and these were incorporated into 3lac. An agreement was entered into by Global Health Trax for distribution of the combination outside of Japan. Manufacturers Global Health Trax state : ‘The secret behind it’s flagship probiotics’ effectiveness is the micro-encapsulation process that gets the live bacteria safely past the acidic environment in the stomach. These oxygen-friendly bacteria go to work ‘dining’ on anaerobic problem organisms that your body does not need. 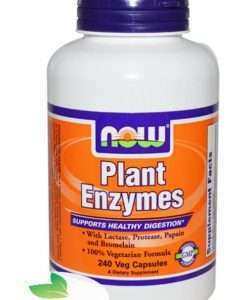 An added benefit is that it helps to balance the body’s pH. There has been some recent scaremongering regarding Enterococcus strains. 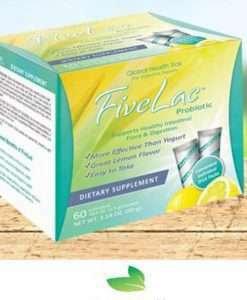 Please be aware that there are many strains of this bacteria and that Threelac uses a beneficial probiotic lactic acid producing strain from class F-100. Not all enterococcus strains have the same properties or effects, some strains have been used in probiotic strains for many years. When taken to assist in a candida management strategy it is advisable to reduce both refined and natural sugars for the first two weeks of use. This would include fruit juices and alcohol as well. Natural sugars can gradually be added back later on to see what can be tolerated without inflaming candida, after candida has been brought into management. Eat your sweets ‘raw’ and enjoy a good diet rich in nutritious foods. Take a sachet right before you eat a meal. Let the packet dissolve in your mouth and follow immediately with 4-6 ounces of water. Then eat. Food acts as a buffer to assist the powerful probiotic combination in reaching the small intestine. Start on one sachet per day for 10 days, then move to 2 sachets per day for the next 2 months. You may experience detox reactions or a worsening of symptons in the first week or so so drink plenty of water. When you are satisfied reduce to a maintenance amount of one packet per day to maintain body pH. Eliminate refined sugar: cakes, sweets, jams, fizzy drinks. Cut back on fruit juice for a couple of weeks. Cut right back on Processed Foods: White Flour products, such as breads and pastas and white rice. Use brown rice , buckwheat , millet as alternatives. Simple Carbohydrates: Chips, crisps, crackers. If having potatos have them baked. Drink plenty of water to help your body detoxify. Start the day with a cup of hot water and lemon juice. Eat plenty of salads with raw salad vegetables such as celery, peppers to help detox and to help energy. Are their any Natural Food Based Alernatives? Their are natural alternatives which take longer to deal with your problem.One of the main worries of Candida sufferers is that after a period of anti candida measures when their health and strength is returning is that somehow the balance will be upset and their problem will re-occur. To help prevent this we advise making sure you have a daily intake of probiotics. 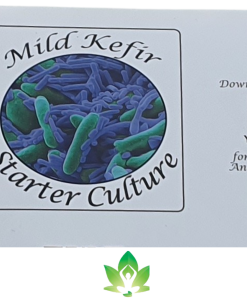 We can offer you Kefir, which contains colony forming probiotic cultures which are far superior and hardier than those found in yoghurt. Making your own fermented vegetables/sauerkraut will ensure a healthy supply of probiotics which are not available in store bought products. Store bought sauerkraut is pasteurised and pasteurisation kills the beneficial probiotics. And dont worry about the word ‘fermentation’, most candida diet writers do not understand the different processes of fermentation and advise that you avoid all fermented products. This is just poor science. Avoid yeast fermented products. Natural fermented probiotic rich krauts are highly beneficial, being full of beneficial bacteria and vitamins. Eat raw crushed garlic (2 cloves per day) go easy as the die off can be quite bad. Get a great supply of daily minerals by adding a teaspoon of Celtic Sea Salt and the juice of a lemon to 2 litres of water and drink throughout the day. Celtic Sea Salt has only about 80% sodium compared to 99% in processed salt. Celtic Sea Salt is also full of Minerals. I just wanted to let you know how dramatically Threelac has changed my life. 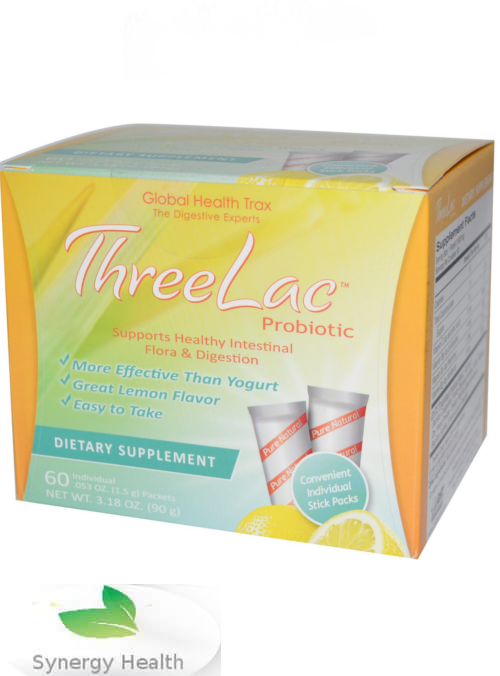 I’m in my early 40’s and I’ve been taking it for quite a while now (about three years), and having tried many different probiotics over the years, I can’t believe how incredibly effective Threelac is. I know my fight with candida will never be over, but with Threelac on a regular maintenance level dose I’m now in really good health and living a very normal life. I’ve tried fivelac, but not found that it brings me any added benefits particularly. When I started taking Threelac I took the Oxygen Elements and Active Enzymes too which gave a really quick boost to the regime. The other product I use occasionally when I have an attack Is Grapefruit Seed Extract, which I find much more effective than over-the-counter treatments. This I’m pleased To say Is a really rare occurence these days. What is so amazing and different about Threelac is that you don’t have to starve yourself half to death in order to gain control. I’ve always been very skinny anyway, so those starvation diets do me quite a lot of harm. Thank you all at Synergy Health for changing my life! Having struggled for seven years with *.*. and travelled the UK visiting doctor after doctor I realised my problems lay with systemic c********s. The relief at finding the route of my problems was immense until I discovered that most doctors do not believe it exists and that those that do do not know how to treat it. Having tried all conventional methods and diets to treat it, with no luck I spent hours researching for help. I discovered Threelac, my saviour. I have been taking it for 12 months now and have gone from being almost bedridden to normal levels of activity. In the last few months I have started to add some physical activity back into my life and it is going well. For any one suffering from ******** I urge you to give Threelac a go, commit to taking it for at least four months before deciding it is not for you. I took it at a dose of four packets per day initially during my recovery and have since gone down to three which I seem to appear to still need. I would also highly recommend Synergy Health who have been superb at sending my Threelac in good time. “My wife suffered from severe ******* during her pregnancy. Her skin on her beautiful legs looked like a crocodile skin. We were very concerned. We found out that she had candida in an advanced state. Allopathic remedies were out of question. A friend suggested ThreeLac. We tried. We were astounded and thrilled that within a couple of weeks all symptoms were gone and stayed gone till today. This happened ten years ago. 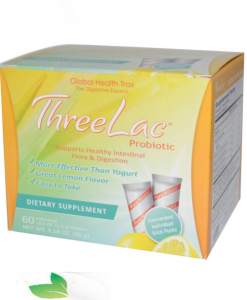 We then used ThreeLac for improving our intestinal flora. We are living most of the year in India with our kids. Terrible bugs here. We were subjecting ourselves to repeated treatments of antibiotics before we knew ThreeLac, to get rid of the bugs like Giardia and Amoebic infestation of the intestines. I had a rash on my ears, pealing skin etc. My daughter saw it & suggested I might try using Threelac which she had used herself for a yeast infection. To my amazement it actually worked. I am still taking Threelac but I hope to reduce the quantity & use a maintenance dose only. I have a ca****** problem since teenage years. I followed the candida-diet for 6 months and it reduced the symptoms, vaginal yeast infections, for 70%. About 6 weeks ago I started five lac and after a few days I had no vaginal c****** problems anymore. I still follow the main principles of the candida diet (no sugar, no white flour,….) and I will continue this, combined with the five lac. So, I am very satisfied. In the 1990’s I was afflicted by a very severe candida allergy that meant I could hardly walk more than 200 metres. I took many years off work before a firm diagnosis was obtained from a clinic in Arizona who put me on a range of allopathic anti-candida and anti-thrush drugs such as Lamasil, Nystatin etc. By this time I was already on a very restrictive anti-candida diet. My health improved, no question, but I had to take these drugs permanently, with any lapse punished (chronic fatique, bloating, mood swings and lack of ability to walk very far). Threelac was a revolution for me. It transformed my health, took me off medical drugs and started to restore my health. Having had many years of candida health challenges, Threelac is by far the most effective natural supplement I have ever had. By a factor of a thousand. I have now taken it for ten years but have been able to lower the doses continually. I can now go without it for six months at a time. I can now eat what I want, when I want. I now lead a completely normal life and I am profoundly grateful for that. In tandem with Threelac I also started qi gong with Chinese Heritage in Notting Hill and both of these modalities completely transformed my health. Having been diagnosed with candida and having done a lot of internet research I came across you website. You not only offered the product but also gave me other useful information. Part of my symptoms were rosacea on my face and within a couple of weeks of taking this product both the itchiness and redness started to pass. Having suffered for quite a long time with this on my face (I started when I was pregnant with my son, now 2 and a half), it feels great to be able to find something that actually works. Having been totally let down by doctors prescribing creams which only ever tried to deal with symptoms rather than the cause. I have used this product abt 6-7 years now. It helps me from waking up with a dry mouth every so often. My wife had been suffering from thrush for several months. No treatment offered by the National Health seemed to do the trick. After frantic searching on line, we stumped up for Threelac (and it seemed really expensive for what it is). But after playing with doses she settled on half a sachet a day and this seems enough to sort the thrush. Can’t explain why – it just works. Synergy have been great – very reliable service and only a smattering of emails reminding me to buy some more. I have started to try it too! 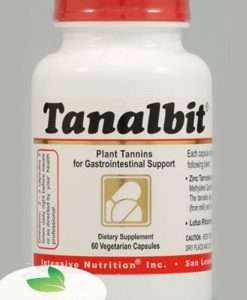 This product has changed my life, since a child I have had problems with going to the toilet, I have tried every product on the market and had years of doctor and hospital visits to be told “its just me” so I continued with laxatives as they were the only thing that would help. I tried Oxcgen on the recommendation of a colonic hydro therapist about 3 years ago, it worked wonders and has continued to do so. Dont Laugh! !…… As I purchased Threelac for my Dog……. Yep, my Dog a Boerboel (South African Mastiff)….. Why?…..well after many visits to the vets & 2 x three month corses of Antibiotics with still NO joy or cure insight I asked for a further test on his paws, results came back as CANDIDA in his paws, told vet I was stopping all meds & going to put him on Threelac & I will gladly bring him in for inspection weekly. Bronson has now been on Threelac for two weeks with a remarkable turn around in his condition….. Hair Folicles are now returning to the under side of his paws & redness has all but gone, he is also no longer trying to lick his paws I have upped his sachchets to 6 a day x 3 with each meal as he is 12.5 stone/80 kg. This is not the 1st time I have used threelac on an animal, some 5 years ago I gave it to another dog with skin issues & again it was a Total success much to the amazment of our then Old school Vet & much more safer for the animal. A neighbour commented on my dogs turnaround with his paws as she has an English Bullterrier who has a serious skin disorder Red paws/stomach/groin area I said when he has finised his antibacs/anti inflamatries she can try him on threelac! Within 1 week her dogs rash has gone, the lady could NOT believe it she also commented how relaxed her dog has been!